SoC Graduate Student-Alumni Luncheon attendees. 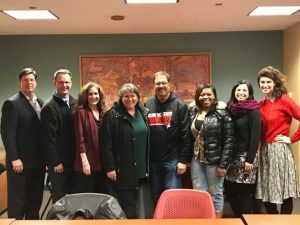 In 2011, a School of Communication (SoC) graduate student made a recommendation to a faculty member for an event that would allow her cohort to create connections in Chicago. Eight years later, that annual event is a staple for SoC students and their post-graduate success. Lamonica is instrumental in the lives of all SoC students. He uses his professional connections, mostly SoC alumni, to help students lock in internship and job opportunities. 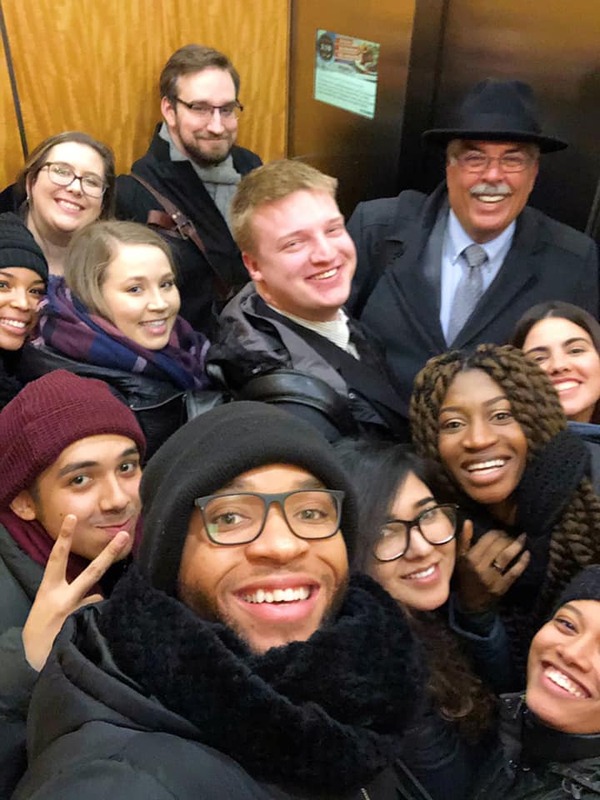 Lamonica’s willingness to help students create these connections not only stems from his passion for helping SoC students succeed, but the students’ own drive, determination, and willingness to take advantage of any opportunity that comes their way. The graduate student who presented Lamonica with the idea for the event back in 2011 showed that same drive and determination. They saw an opportunity for SoC graduate student advancement and knew Lamonica was the person for the job. That SoC alumni and graduate student interaction has been maintained for the past eight years. While the event exists primarily to help current SoC graduate students, the alumni benefit as well. 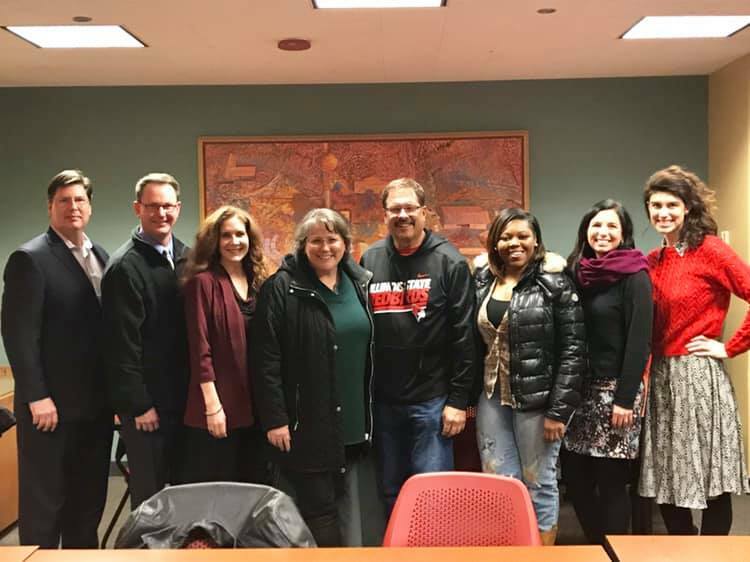 Whether it’s a small reunion or an opportunity to create a business connection with another Redbird, alumni walk away from the annual event fulfilled, just as the graduate students do. This year, several graduate students have walked away with internship and professional opportunities after meeting SoC alumni at the luncheon. “I made a really good connection for a job opportunity this year. I was really happy I went and happy that I could help Tom coordinate it this year,” said SoC graduate student Kiah Wilson. Though the space is limited at the ISU office in downtown Chicago, Lamonica hopes to see the connections between SoC graduate students and alumni grow in the future. He hopes that both SoC graduate students and alumni will see more opportunities for advancement and share their ideas with him, just as the graduate student did in 2011. “I want to see this grow, but the ideas must come from the students and the alumni. Whatever they think they need, I will do whatever I can to make it happen,” said Lamonica. Lamonica encourages all SoC alumni to reach out to get involved with the SoC Graduate Student-Alumni Luncheon or to help coordinate other professional development opportunities for SoC graduate students. SoC graduate students are also encouraged to reach out with any ideas for networking and professional development.